In the last three weeks alone, President Donald Trump has nominated dozens of people to positions across the federal government, sending appointees everywhere from circuit courts to ambassadors' residences, from Alabama to Singapore. But none of those nods sent new leadership in the direction of Texas, where all four U.S. attorney seats, 11 district judgeships and two slots on the historically conservative U.S. 5th Circuit Court of Appeals sit open. While Trump’s appointments process has been slow going overall — as of June 20, 2009, President Barack Obama had appointed about twice as many people as Trump had by the same date this year — the current White House is not entirely to blame. All but one of these 17 vacancies opened under Obama. And when it comes to appointing U.S. attorneys, at least, Trump’s first nomination on June 12 was not unusually slow: Obama nominated his first U.S. attorney on May 15, 2009; it took President George W. Bush until Aug. 1, 2001. Still, the absences are particularly noticeable in Texas, which contains the most U.S. attorney districts of any state. The Southern District of Texas is the busiest in the country, prosecuting more cases than any other, and the Western District shares a 660-mile border with Mexico. Of the 51 federally designated “judicial emergencies” across the country, nine are in Texas. One chair has been vacant since 2011. For a self-described “law-and-order” president, these vacancies should be urgent, legal experts said. U.S. attorneys are political appointees selected by the president and then confirmed by the U.S. Senate, and they play a critical role as the nation’s top federal prosecutors. When political appointees resign at the start of a new presidential term, as has become customary, their seats are temporarily filled by senior, nonpartisan civil servants who handle daily operations but tend to wield less power for implementing long-term strategic visions. Three acting U.S. attorneys in Texas — John Parker, Richard Durbin and Brit Featherston — all said their offices continue to aggressively prosecute cases but acknowledged that a political appointee would carry more clout. In a state like Texas, where many of the new president’s stated priorities — border security, immigration, drug trafficking — are particularly pressing, these roles seem urgent to the new administration. U.S. attorneys do not have the power to disobey Department of Justice directives, but there is enormous prosecutorial discretion in the position, experts and U.S. attorneys themselves agreed. The most common explanation for delays in political appointments is partisan obstruction — experts, for example, attribute the dearth of Texas appointments during Obama’s tenure to friction between the former president and the state's two U.S. senators. But given the new political alignment between Trump and Republican senators Ted Cruz and John Cornyn, the lag is harder to explain. Legal experts speculated that the delay could be due to disagreements between the two senators or attributed it to the Trump administration’s lack of a “deep bench” of potential appointees. Both Cruz and Cornyn have legal backgrounds and serve on the Senate Judiciary Committee. 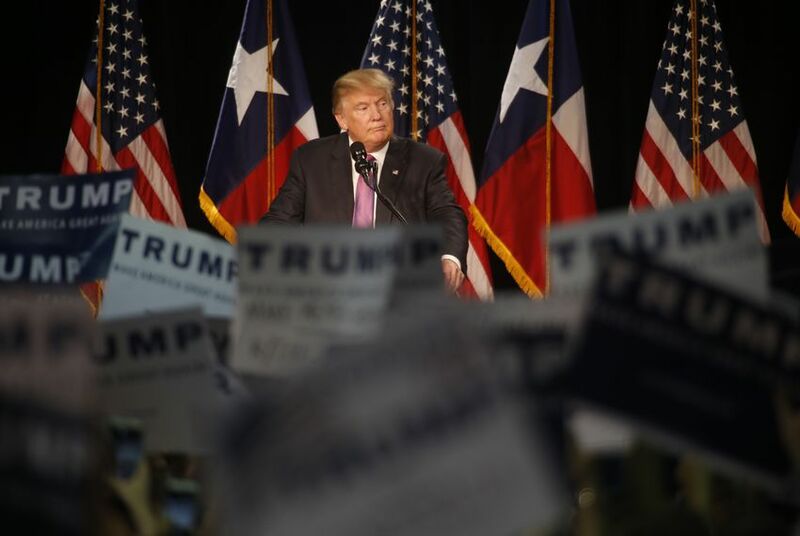 Hugh Brady, director of the University of Texas School of Law’s Legislative Lawyering Clinic, pointed out that the Trump Administration might be less worried about the temporary U.S. attorneys in Texas than those in, say, Massachusetts. And because of Texas's overall rightward bent, it is less likely to be the “scene of constitutional litigation” that opponents file against the president, Brady said — perhaps making a stacked judiciary in Texas less important than a White House-appointed bench in a more liberal state. In Texas, a bipartisan commission called the Federal Judicial Evaluation Committee takes a first pass at applicants interested in such spots and then makes recommendations to the senators. That group interviewed scores of candidates, and completed its work in April, members said. But David Prichard, a San Antonio lawyer and the chairman of that committee, said he is not surprised that Trump has not yet made nominations. "We have to realize that [some of these] are lifetime appointments, and they carry a lot of power, so getting it right is pretty important," he said. Trump announced eight nominations for U.S. attorney slots on June 12, naming only one — Justin Herdman of Ohio — who required approval from a Democratic senator through the informal “blue-slip” process. Trump has also announced a slew of nominees for judicial positions. Those judicial vacancies are arguably the most pressing because there are no interim judges to step in. Understaffing of the federal bench has long plagued Texas, and it’s an urgent issue, experts said. The openings can mean petitioners have to wait, and, as the old adage goes, “justice delayed is justice denied,” said Raul Gonzalez, a former Texas Supreme Court Justice and the vice chairman of the Federal Judicial Evaluation Committee.